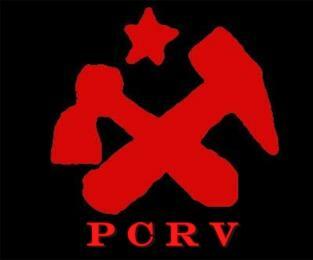 PCRV: Fighting Regionalism & Ethnicism with the Utmost Energy! The reactionary power of the Fourth Republic was erected regionalism and ethnicism method of government. These two very dangerous for national unity have never reached such a crisis level in our country under the reign of Captain Blaise Compaore. the Muslim community with the sheiks Aboubacar Sana, Mamadou Band, El Hadj Yugo etc..
with the political Nayabtigoungou Congo Kabore Moss and his party Tenga Pen Pasgo (posted in Tanghin Dassouri great on the road to Bobo), Issa Tiendrébéogo, Cyril Goungounga Achilles Tapsoba, Simon Compaore, the Larlé Naaba for more visible. Their actions helped defeat the various national minorities and under serious threat on cohesion and national unity. join its ranks for the overthrow of the pro-imperialist struggle of the 4th Republic of Captain Blaise Compaore and his gang. Not to regionalism and tribalism! Long live the unity of various nationalities called Upper Volta Burkina Faso! Forward for the Provisional Revolutionary Government and the Constituent Assembly! Boycott the elections on November 13, 2005! This entry was posted in Africa, Burkina Faso, French Imperialism, ICMLPO (Unity & Struggle), Internationalism, Marxism-Leninism, Racism, Revolutionary Communist Party of Upper Volta (PCRV). Bookmark the permalink.